There are no reviews for (Take These) Chains yet. You can write one. 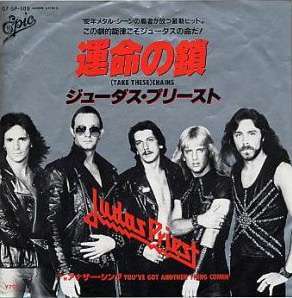 There is also a 1982 UK promotional 2-track demo 7" vinyl single in a generic CBS die-cut sleeve, which includes 'The Judas Priest Audiofile' on the b-side with a voiceover by Dave Owen.